In the context of flourishing economy informatization, the prosperity of China is obvious to all people around the world. Mandarin Chinese, or we could say “Confucius’ language”, has enjoyed a higher and higher level of internationalization, which makes teaching foreigners Chinese a big hit. In these days, foreigners are quite common seen in small towns and big cities across China. Also, it’s not surprising that these foreigners are fluent in Mandarin, and some of them even speak idiomatic Chinese dialects. I’ve met an Englishman who seems like a refined and courteous gentleman. But, the moment he opens his mouth, what's coming is jaw-dropping. The Northeastern Chinese culture is blurted out in coarse Northeastern Mandarin, which makes me admire him a lot. I couldn’t help but wonder how his Chinese teacher taught him so. This is the charm of Mandarin Chinese. By learning Mandarin, foreigners could not only change their ways of expression, but contribute to the cultural exchange and inheritance. Teaching foreigners Chinese is really a meaningful job. Life lies in pursuing experience. By learning Mandarin Chinese, foreigners could be with a bunch of Chinese learners in this exotic nation. They could feel things they never felt before, meet people with a different point of view and see exotica that startle and delight them. Teaching foreigners Chinese is not merely the impartation of language, but the basic approach to spread Chinese culture, which brings every teacher a sense of mission to do their best. In Mandarin Garden, there is a group of teachers who are full of passion. 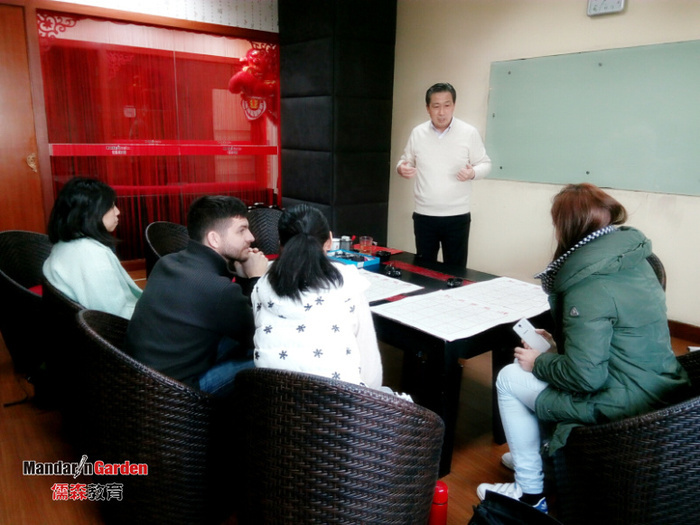 With the assistance of them, foreigners can learn Chinese in a homelike atmosphere, see profound and fascinating Chinese culture and make friends with hundreds of like-minded people. Prev: What makes this British select school learn Chinese in Mandarin Garden for three consecutive years?